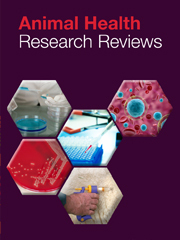 Animal Health Research Reviews provides an international forum for the publication of reviews and commentaries on all aspects of animal health. Papers include in-depth analyses and broader overviews of all facets of health and science in both domestic and wild animals. Major subject areas include physiology and pharmacology, parasitology, bacteriology, food and environmental safety, epidemiology and virology. The journal is of interest to researchers involved in animal health, parasitologists, food safety experts and academics interested in all aspects of animal production and welfare.